Photography 101: Learn to take pictures for your business! Pictures are a key part of your business imagery, and today one of the most engaging communication tool. 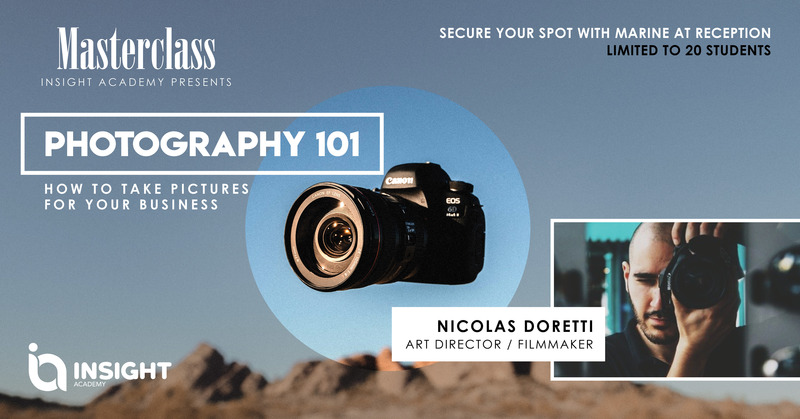 In this first practical workshop dedicated to “Photography for your Business”, you will learn all the basics, from natural lightning to composition, and how to use a camera or a mobile for getting a professional look to your pictures. Free for Insight Academy Students. Secure your sport with Marine.